You Are Here: Counsilman-Hunsaker > About Us > Biographies > E. Froeschner, P.E. 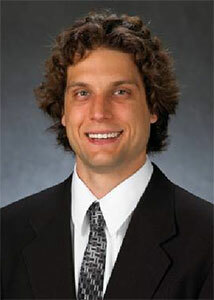 Erich holds a degree in civil engineering from the University of Missouri – St. Louis. As a swimmer and coach of a private swim team, Erich is very familiar with swimming pools and brings real world experiences into the design world. With his engineering knowledge and excellent attention to detail, he develops and manages quality control workflow processes to ensure the accuracy of our deliverable products. He also oversees the Production Team to assist with daily operations in implementation of workflow processes.